Ellipse is a series of abstract photographs created in May 2015, taken inside a concrete observatory, and formed by multiple exposures within the camera. 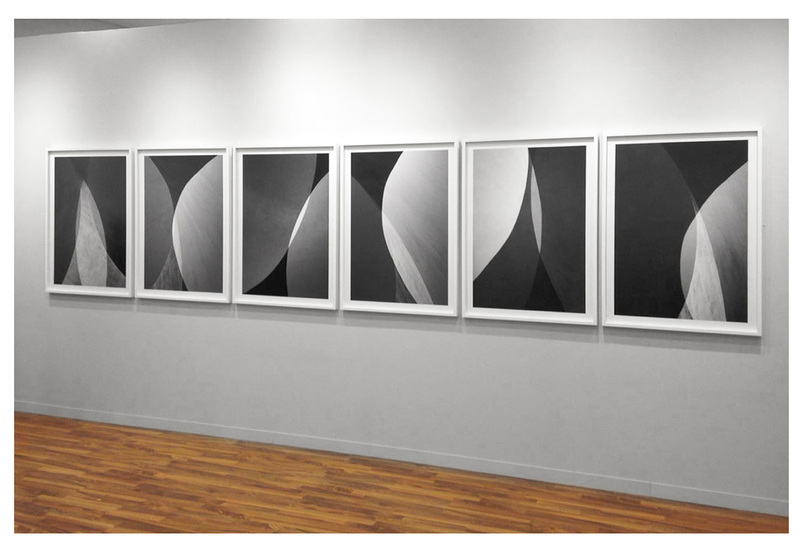 The series represents a composition of light, shapes, shadows, lines and forces. The expression, not only through a single picture but also as a whole, is the result of various elements; the materials, the light, the shadow, the edge of the concrete, the air, the ocean and the horizon all work as an influence on the creative process. The purpose is to create, from one image to another, a spiral in motion. Shapes, circles, ellipses and movements are organic and energetic; forces in contact with each other. Showing intangible ideas that can be felt and connected through what awakens in each person. Geometry, as space and source of inspiration, generates images that are open to the interpretation of the observer. However, it is inevitable to perceive the strength they have when they combine and generate a greater space. The series seeks to awake a reflection on the bond between human beings; how a stronger space is constructed in community, the same way an image meets another sibling image, and they connect.